The Hong Kong-listed soap and hand cream brand has snapped up luxury skincare group Elemis for $900 mln in cash. At over 22 times last year’s EBITDA, the price looks a tad rich. The acquisition will also boost L’Occitane’s exposure to the UK at a time of economic uncertainty. 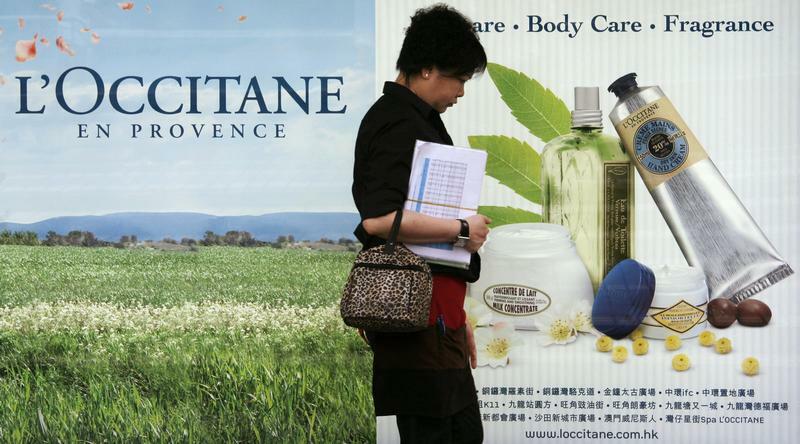 A woman walks past a L'Occitane advertisement in Hong Kong April 19, 2010. Cosmetics retailer L'Occitane International S.A. plans to raise up to $708 million in a Hong Kong initial public offering, a source close to the deal said on Sunday night. L'Occitane, which manufactures products including almond and olive-based creams would be the first French company to list in Hong Kong. Beauty products maker and retailer L’Occitane International said on Jan. 14 it was buying British skincare brand Elemis for up to $900 million in cash. Shares in L’Occitane, which is listed in Hong Kong, were down 4.7 percent at 0905 GMT.